On Wednesday, I braved the weather to go and collect my TVK4 box from the post office. Was it worth it? YES! I've seen these kale chips in a variety of flavours in my local health food shop, but have always been put off by the price (£2.19 per 30g bag). I really enjoy kale, especially crispy kale, so these sounded great! They tick the following boxes: organic, vegan, raw, gluten free, soya free, cholesterol free, trans fat free, no added cane sugar, 100% natural, no MSG or artificial additives, GMO free - so they really do sound suitable for everyone! Even the packaging is environmentally friendly and suitable for home composting, if you're that way inclined. The chips had a great crispy texture but I wasn't sure about the flavour and gave up after half the packet. It's a real shame, as I really wanted to like them. I do think that if I'd tried a savoury flavour it may have been different but I just couldn't get my mouth around this particular flavour combination. I would probably try one of their savoury flavours in the future though. 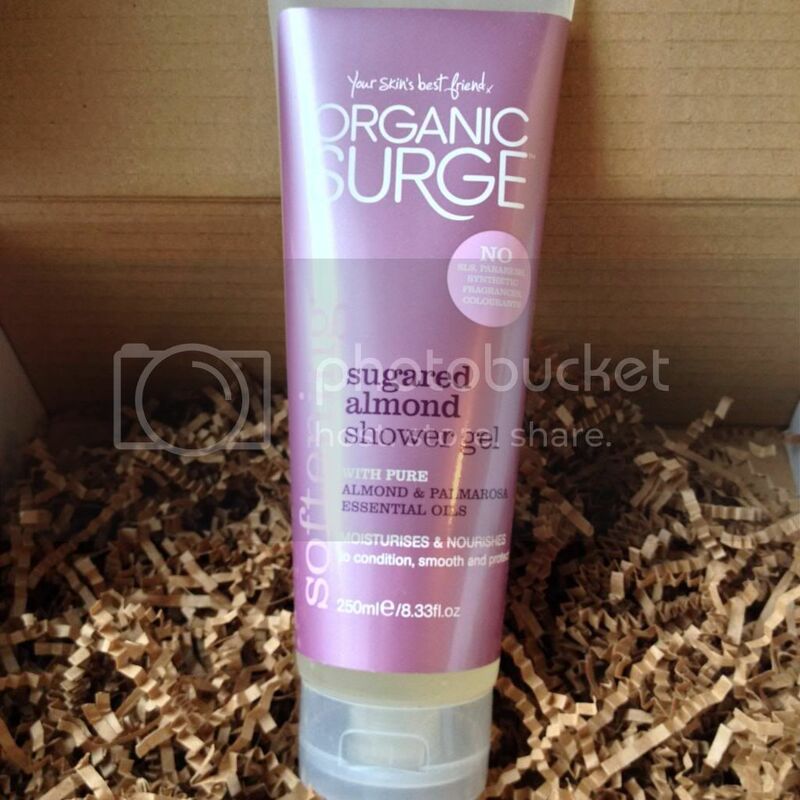 I can't wait to try this - it smells lovely. The packet claims that "almond and palmarosa essential oils combine with non-drying skin cleansers to wash with care and leave your skin feeling super-soft, supple and rehydrated". Sounds great for those of us with sensitive skin! I tried a little on my hands under the tap and it has a silky smooth feel with a delicate scent. Mmmm! Choc Shot is something that I've wanted to try since I read someone's blog about it, where she unapologetically stated that she eats this stuff straight off the spoon! It's made using Sweet Freedom, which is an amazing vegan sweet honey-like syrup, so I had high expectations. I wasn't disappointed! Choc Shot makes beautiful hot chocolate, with the added bonus of there being no horrid lumpy bits of cocoa powder left in your mug. And it's not just for hot chocolate - there's a whole host of recipes on the website and I'm sure I could find plenty of things to incorporate it into! 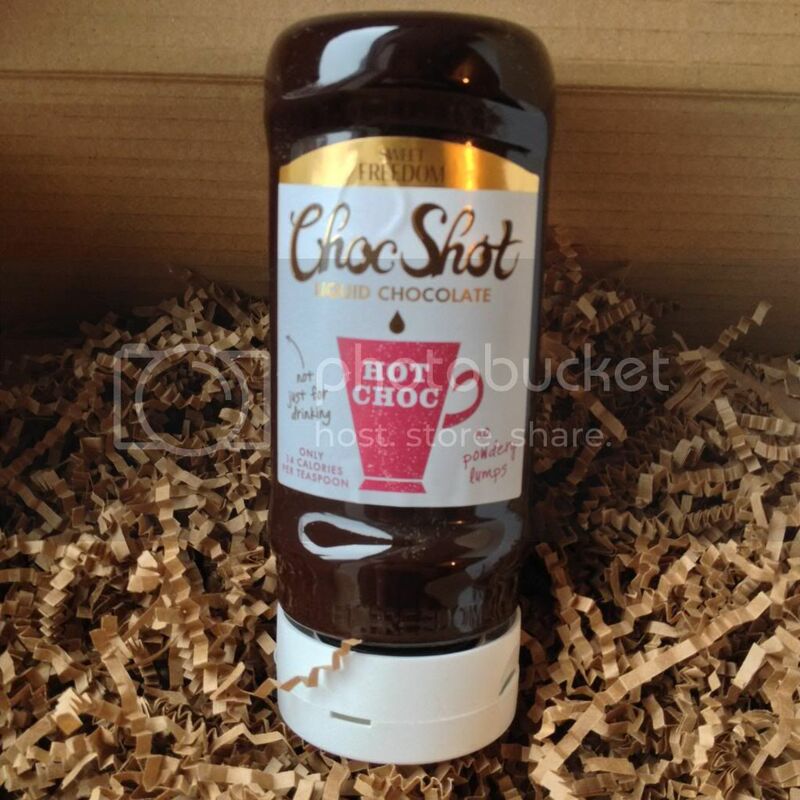 Choc Shot seems to be full of benefits: 14 calories per teaspoon; low GI/GL; no artificial colours, flavourings or preservatives. It's apparently available at Tesco and Ocado so I'll definitely be on the lookout next time I'm doing my weekly shop! At £3.59 it's maybe a little pricier than your powdered hot chocolate but it's SO much nicer! Definitely recommended. Funnily enough, I've been to 1066 Cake Stand and peered into their window! (It was a bank holiday so they were closed.) I was born down in Hastings, where this shop is based, and we go back down every year for the Jack in the Green festival. We tried the cake shop on the off chance but unfortunately we weren't lucky that time. Perhaps we'll be able to visit when they're open this year! 1066 Cake Stand is a vegan cake shop, who apparently also make cinder toffee! They also have a dedicated gluten free kitchen, where these goodies were made. They sell gluten free and vegan cakes, candy and cookies, alongside recipe books, savoury snacks and herbal teas. 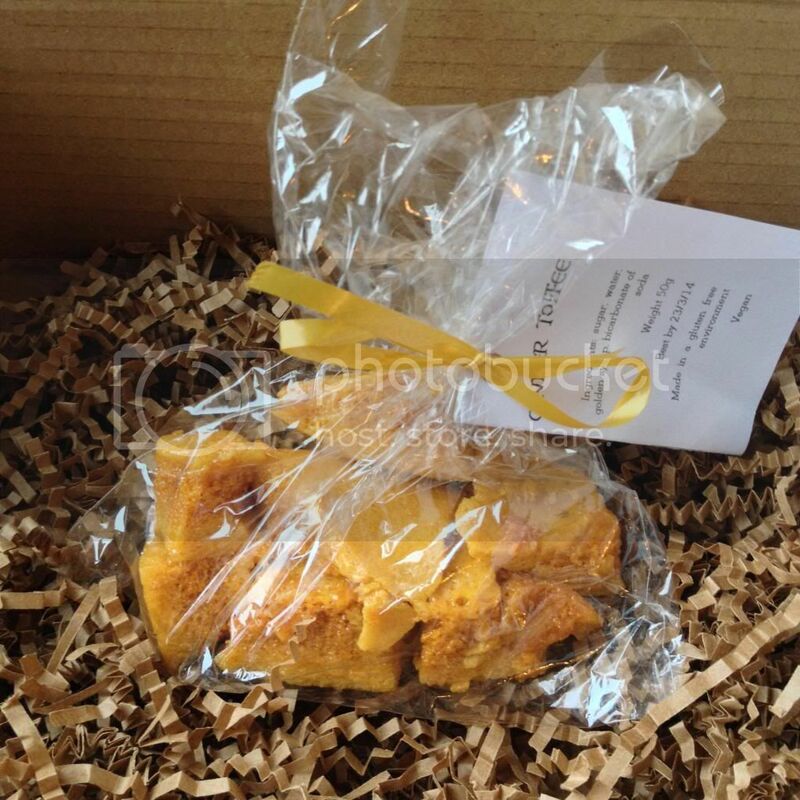 This cinder toffee tastes just like cinder toffee I've had before, which is a good thing! (Is all cinder toffee vegan? I'm not sure...) Mr Hatter also liked it - he requested that we finish it off in one go! I don't know if you can tell but that photo is of an empty packet. Yup, this little treat didn't even make it to the photo shoot. 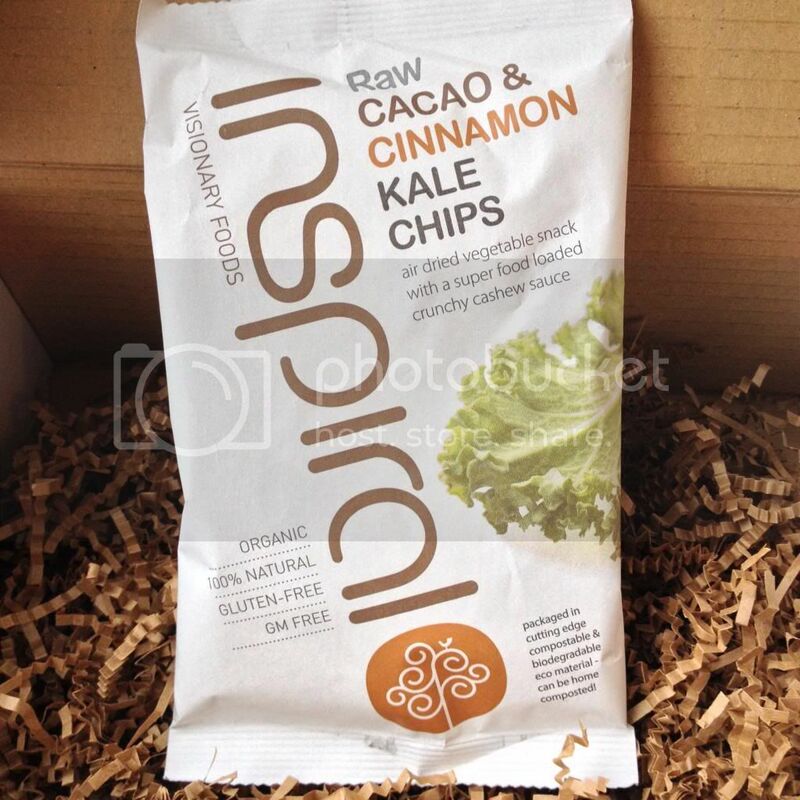 Braw is a company based in Scotland who make health conscious, tasty food for guilt-free snacking. 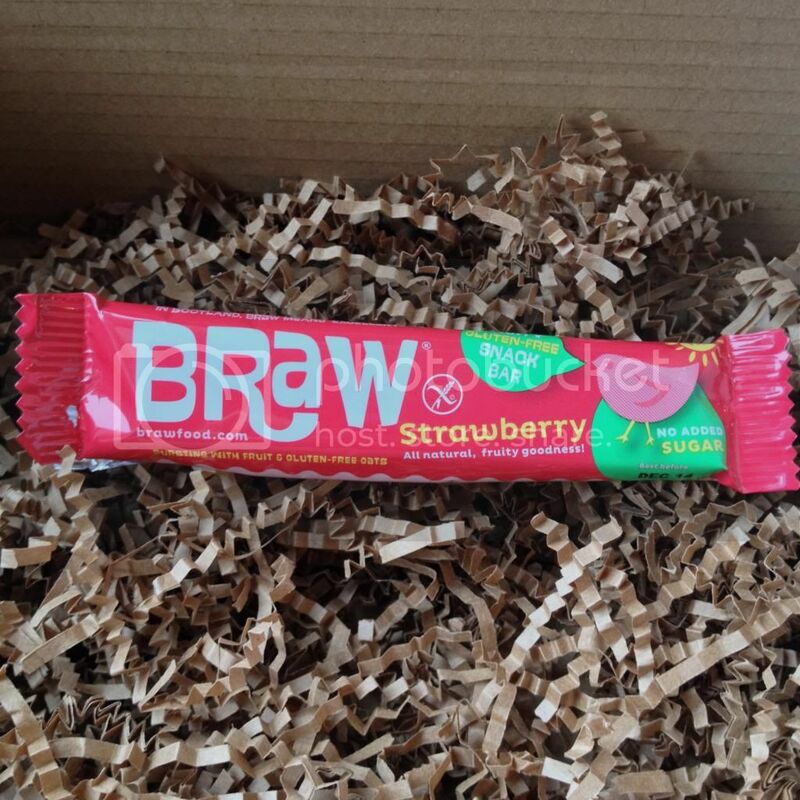 The Braw Bars are gluten free, with no additives, preservatives, synthetic alternatives or added sugar. Each bar even counts as one of your 5 a day! Win! The bar reminded me of a nakd bar type snack, but it was comprised mostly of fruit, and even had some freeze dried strawberries thrown in for good measure. Both Mr Hatter and I enjoyed it (I think he should get his own box...) and it's definitely something I would buy again to have as a quick snack. The bars are packed with gluten free oats to keep you feeling full so it's a great alternative to a chocolate bar. As always, there was a recipe card in this month's box - this time it was for Bean Sushi by Self Sufficient Cafe, which is a blog I already follow so well done to Jasmine for being featured in this month's box! The recipe looks yummy! Every month, The Vegan Kind donate 10p from each box sold to a selected charity. This months charity is Society for Abandoned Animals, which sounds like a brilliant cause. 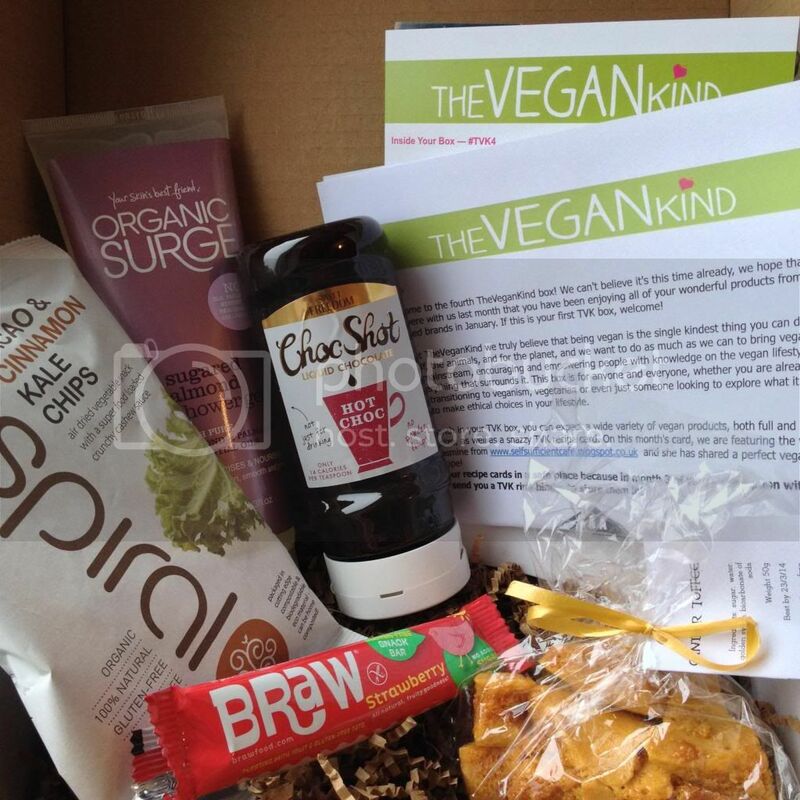 As always, I would recommend anyone interested in veganism (or even just trying new things) to subscribe to this box - at £10 (plus £2,95 p&p) it really is a bargain - and you often get voucher codes if you want to order more! Take a look at the website here if you're interested.